After nearly 10 years of existance, Malevolent Creation still has the rage and has produced a killer album. This brutal death metal from Florida has very good vocals (the screamy-growly kind). The hyper-fast guitars produce killing riffs in industrial quantities. Surprisingly, a black metal influence is very clear on some songs (like "kill zone"). The drumer hits his skins like a machinegun. And the whole result is very interesting, avoiding the trap of too much repetition to get a bombastic result. On the side of the production, I was surprised by a general volume level a bit low but since the sound is still crystal clear I'm sure the whole dynamic range of the CD is used. The sound of the guitars also has a slight black metal touch (but don't be mistaken, this is still death metal). 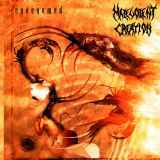 Malevolent Creation is well known for its frequent change of line-up and fans of the band will be interested that, this time, the line-up is the same as on "The Fine Art Of Murder". This CD is highly recommended unless you're allergic to music with that level of brutality.